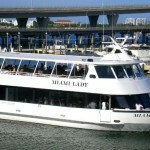 The Miami Lady is an economically convenient vessel for the mid-range yacht charter. Her size is more conducive to groups between 15 to 140 passengers. 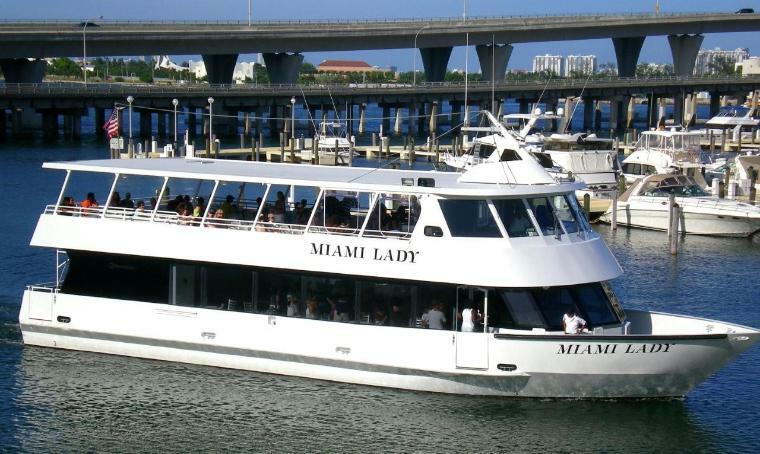 The Island Lady’s sleek design makes her accessible for Miami River cruises, Biscayne Bay cruises, private dance cruises and alternate sightseeing cruises around Miami. The boat is designed to depart during inclement weather. 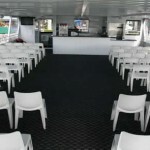 With its awning protecting the top deck from light sprinkles and direct sunlight, the vessel is perfect for the specific groups that must depart come rain or come shine. 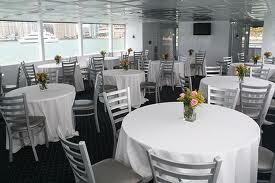 The two decks and bow give the boat many different niches to utilize. 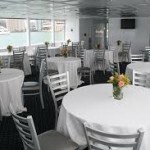 The top deck can be used for wedding ceremonies, cocktail receptions, bands or a spacious dance floor for those elegant salsa parties, while the bottom deck can seat 55 passengers at once for the main dinner. 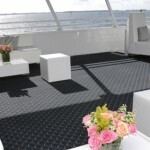 Her two decks make the yacht feel large and the bow offers you up-close-and-personal proximity to the breaking water. You will be able to hear the yacht slicing through the waves and feel the exhilaration of the sea breeze whipping through your hair. 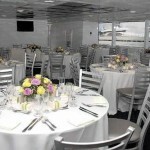 As for the delectable cuisine and easily accessible drinks associated with our yachts, the Island Lady does not disappoint. 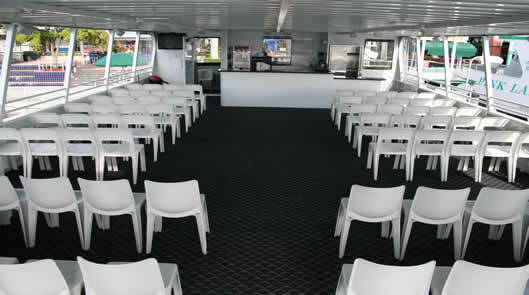 Our chef will prepare all the food in advance and present it in creative food stations throughout the yacht. There is one full bar to enjoy on the air-conditioned lower level but the large windows make every inch of this yacht ideal for sightseeing. 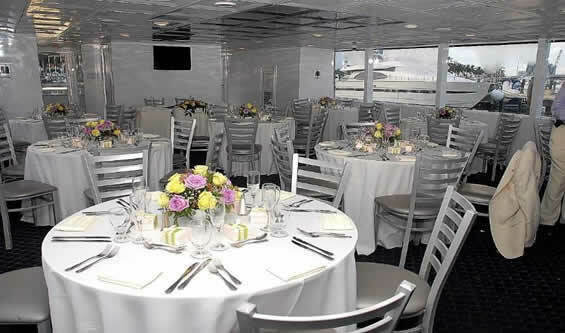 She has been used for many weddings, corporate events, bar mitzvahs, bat mitzvahs, divorce parties, Christmas parties, private sightseeing cruises, dance cruises, Miami River trips, bachelor and bachelorette parties and Biscayne Bay cruises. 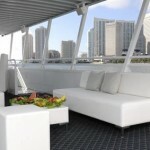 You can be sure you’ll receive the same level service and experience found on all Biscayne Lady Yacht Charters.